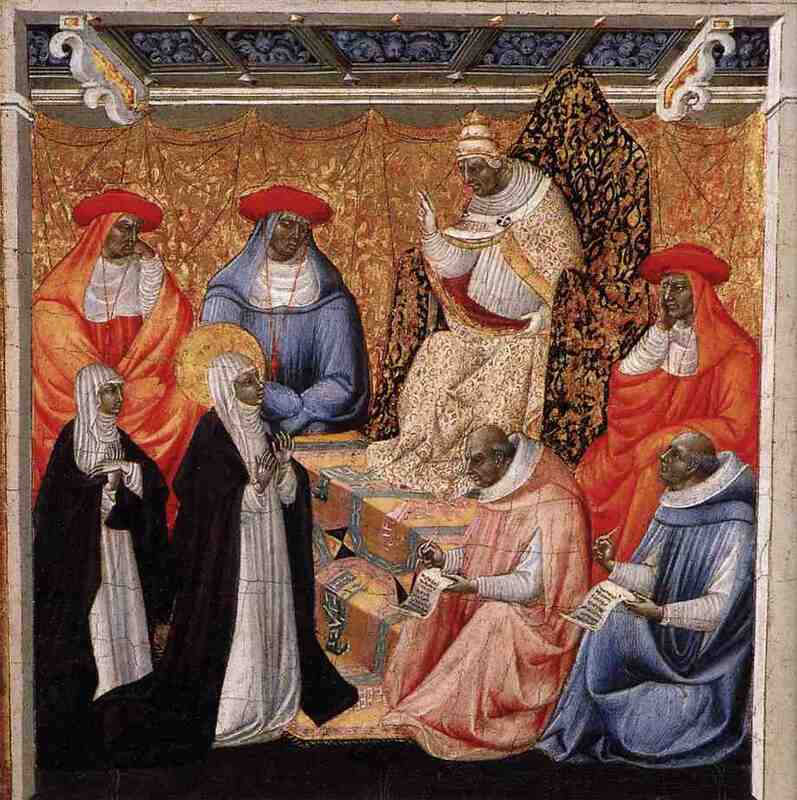 Catherine visits Pope Gregory XI in Avignon, France while her scribes write down her words, possibly depicted Barduccio. Barduccio Canigini joined Catherine’s traveling group in 1378 much later than most of her companions. After she accepted him into her family, he became her scribe and held that position until she died. He was associated with the Guelf Party in Florence and part of the upper class of Florence.1 Thomas Luongo describes one of his tasks in the companion group as, “professional notaries, at some point evidently began keep a register of copies of her letters, from which other copies were made which circulated among her network of followers, to be copied again as desired by new readers.”2 Part of why Catherine was so successful was due to these followers, who took it upon themselves to spread her word and collect her letters for future readers.